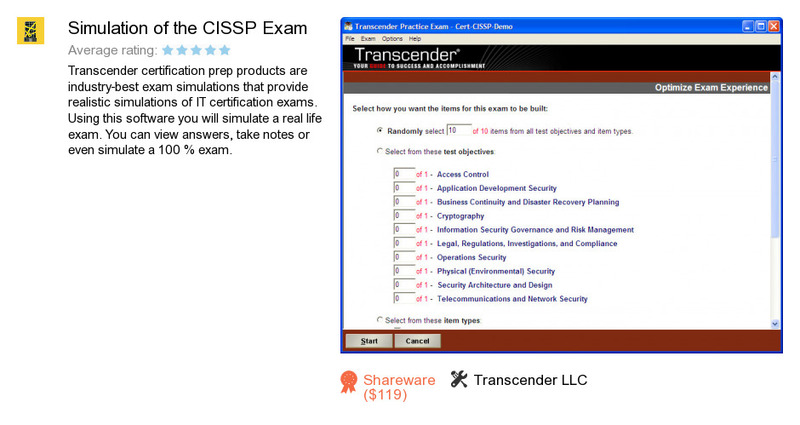 Simulation of the CISSP Exam is a software product developed by Transcender LLC. We know of versions 3.9, 3.7. Version 3.94.0001 is available for free download at our site. Simulation of the CISSP Exam installation file has a size of 574,238 bytes.